The trendy Nugleam 1380 Double Bowl Double Drainer kitchen sink offered by Everhard is the ideal solution for a quick and easy kitchen facelift. Its stylish looks will perfectly complement modern cabinetry and kitchen benchtops. Moreover, it has been designed for easy installation in your kitchen. 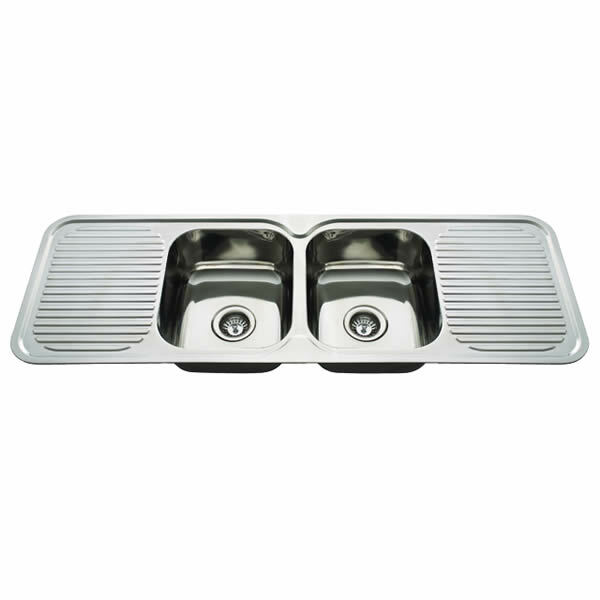 The Nugleam 1380 kitchen sink features large drainage trays making it a highly practical unit. 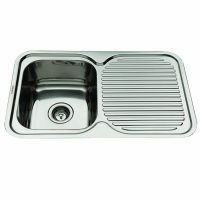 Both elegant and functional, it measures 1380x480x180mm and is ideal for kitchens of all sizes. The double bowls come equipped with drainers and chrome basket wastes. The Everhard Nugleam 1380 suits garbage disposers as well. As with all Everhard products we stock here at Ross’s Discount Home Centre, the Nugleam 1380 also exhibits the finest standards of quality. 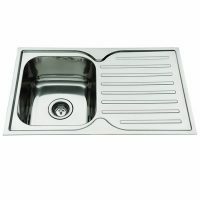 Sturdy and robust, this sink is manufactured using 304 grade stainless steel and it will easily offer you many years of service. The Nugleam 1380 is available with or without a tap hole. As a mark of quality, Everhard backs this product with a solid 25 year guarantee on the stainless steel bowls and a 1 year guarantee on all wastes, plugs and other accessories. Add this trendy sink to your kitchen for a no hassle, no fuss kitchen facelift. 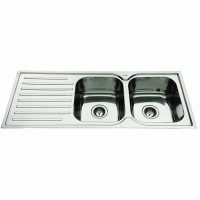 Buy the Nugleam 1380 Double Bowl Double Drainer kitchen sink from Ross’s Discount Home Centre at the lowest prices online.